Last week, we were given our first look at the new suit and helmet that John Diggle will be wearing this season on Arrow. 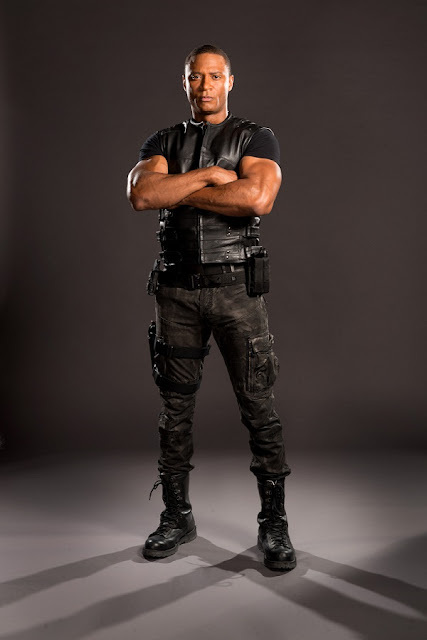 It’s a drastically different look for the previously street clothed enforcer, something that was made even clearer when we saw it in action in the Season 4 trailer. 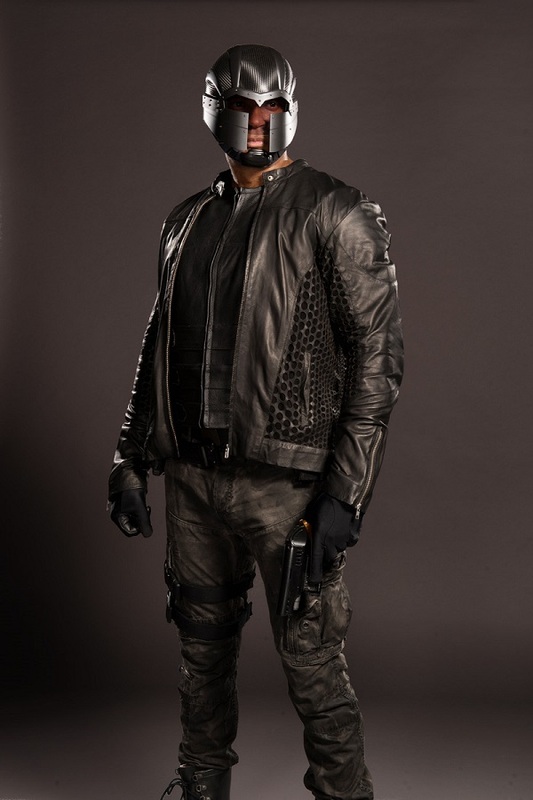 Today, we’re pleased to be able to give you an exclusive new look at Dig’s new threads, including a full-bodied shot of actor David Ramsey wearing the jacket and helmet. Check it out, and be sure to click both photos to view them full-sized. 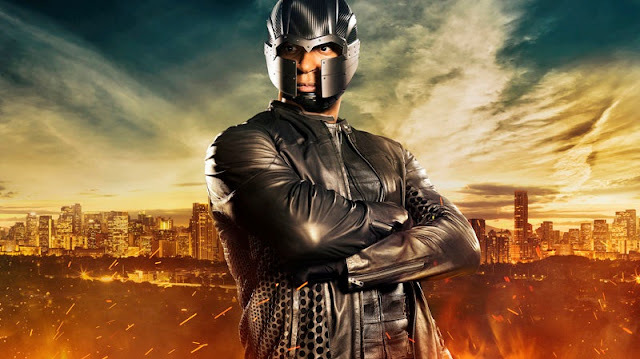 If the criminals of the newly-renamed Star City thought they’d be able to sleep easy with Oliver Queen out the picture, clearly they were mistaken! Here’s the original image of Ramsey in the suit, in case you missed it. Let us know what you think of Diggle’s new suit below. And don’t miss the return of Arrow when Season 4 premieres October 7th on The CW!